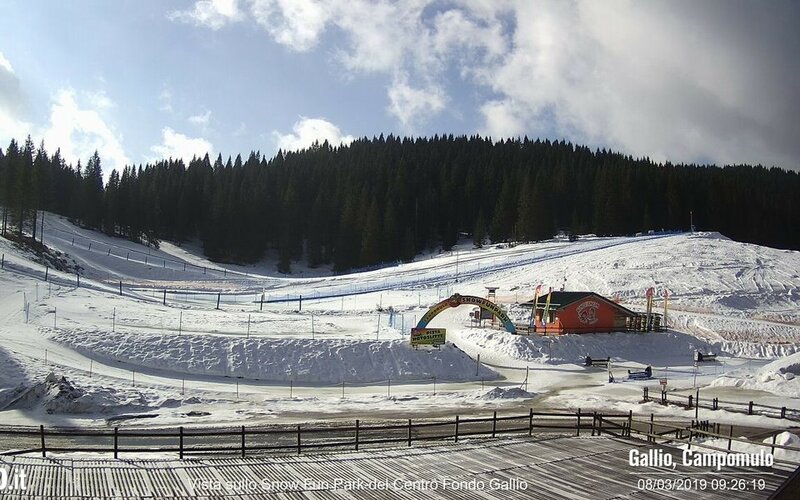 In the Snow Fun Park – Kinderheim del Centro Fondo Gallium is fun! 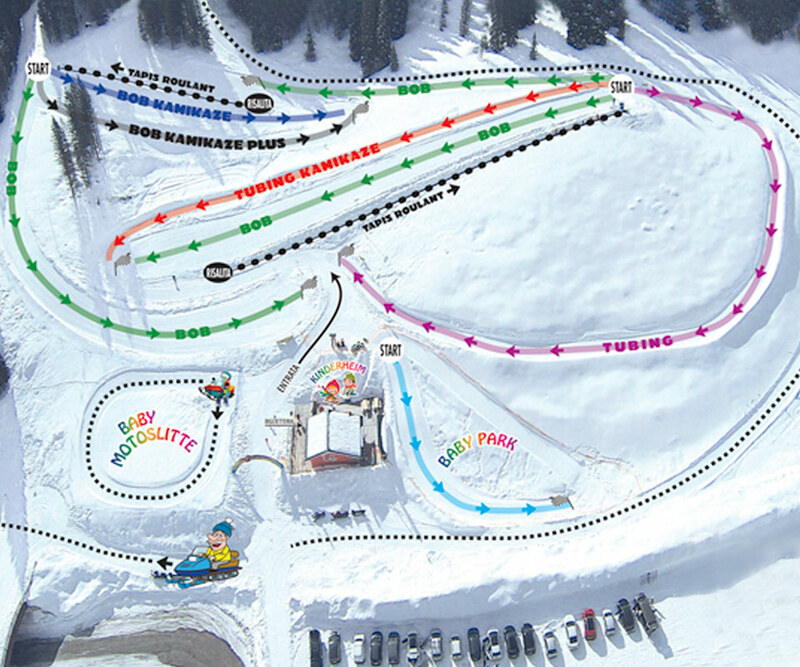 5 rides specially prepared for Bobsleigh and tobogganing, snow-tubingarea, two modern treadmill for ascending, baby-snowmobiles: a real Snow Park, unique in its kind, where the children can play safely. 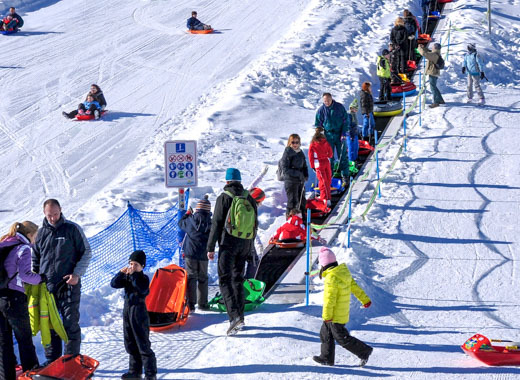 With Kindergarten, will think the animators specialize del Centro Fondo Gallium to entertain the children with games and activities in the snow, while parents can try the Nordic skiing in the Centre or relax in the solarium of the nearby Refuge Hotel chalet at Campomulo. 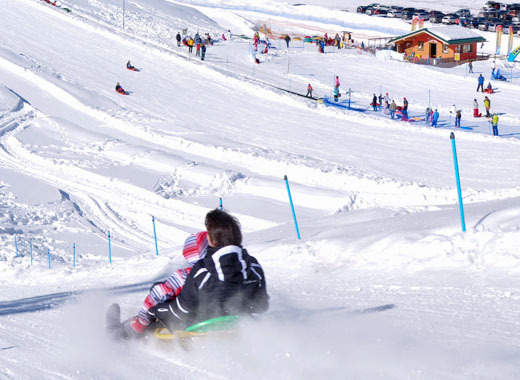 In the Snow Fun Park of chalet at Campomulo everything is designed for the entertainment of children: 5 rides specially prepared for Bobsleigh and tobogganing, snow-tubingarea, two modern treadmill for ascending, paths for baby-snowmobiles with autonomous driving, for a day in the snow for children! By bob snowmobiling: have fun! And when it's down, the fun begins: the ski lifts is facilitated by two treadmills. 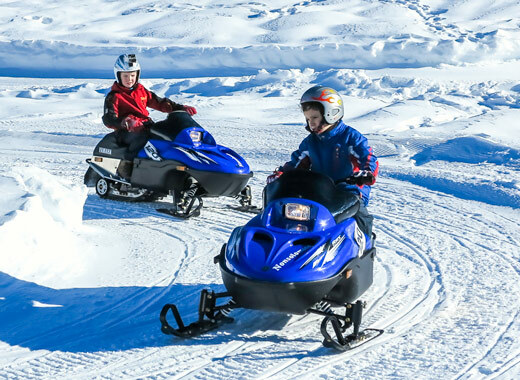 Additionally, at the Snow Fun Park, young and old can experience the thrill of driving themselves modern and secure snowmobiles or babymotoslitte, specially designed circuits. 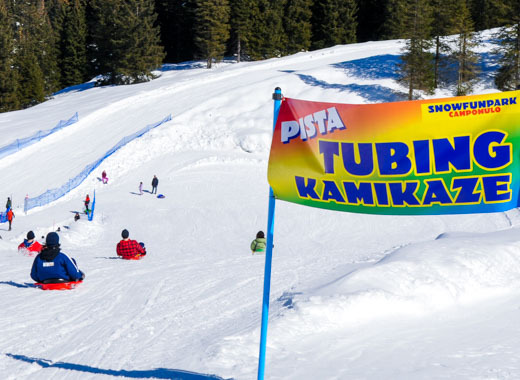 At the Kindergarten of chalet at Campomulo, kids can enjoy an unforgettable experience, between Winter Park games dedicated to them and the fun activities proposed by expert entertainers of the Center Bottom Gallium! A baby sitting in the snow efficiently, to entertain and children play in complete safety and to meet the parents, who can have fun on the slopes, no worries. • Purchase the park entrance fee implies the acceptance of the said regulation outline.